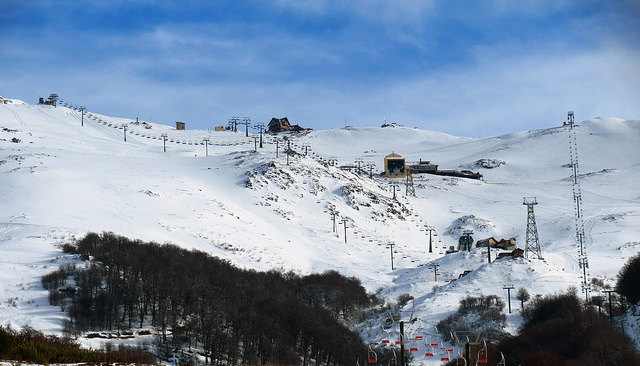 When we speak of Cerro Catedral (Cathedral Mount) we are of course talking about the biggest Ski Center in South America which is located just 20 km. from San Carlos de Bariloche. Catedral provides all types of Ski and Snowboarding styles: Off-trail, Freestyle, and Ramps. Because of the vast diversity of options, Cerro Catedral is an optimal scenario for the most important international ski & snowboard competitions. Catedral`s base is located at an altitude of 1030 meters and includes malls for shopping, restaurants, bars, rental equipment stores, and many others services. This Ski Center also has a ski area of 1200 hectares, consisting of trails, roads, forests, canyons and off-trail areas, a maximum height of 2180 mts, trails with a length of 9 km and slopes ranging from 3° to 60°. Catedral Alta Patagonia has over 40 lifts, consisting of T Bar, Pomas(j-bars/button) chairs, doubles, triples, quadruples and sextuplets; all of them enabling the simultaneous movement of 35000 skiers per hour ... It also boasts the enclosed gondola cableway Amancay and a pedestrian system. Public Service runs from 9 to 17 hs. The lifts open at 9.30 and the last descent leaves at 16.45hs.